All time Thai customers’ favourite and much anticipated, Ayinger Weizenbock is available again in 2017 both bottles and draft (selected bars & restaurants) Bangkok and country-wide. 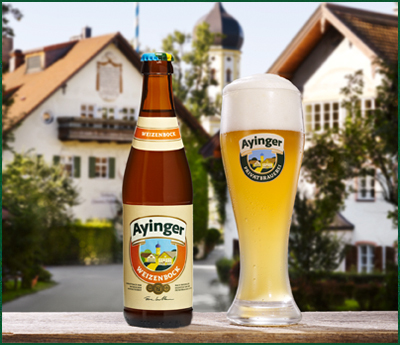 Ayinger Weizenbock offers full essence and flavour of the wheat harvest, fresh-baked bread, spicy quality – the sunshine of a fall afternoon. The finish is tropical fruit, cloves and banana.